Pull the trigger on your S.W.A.T. 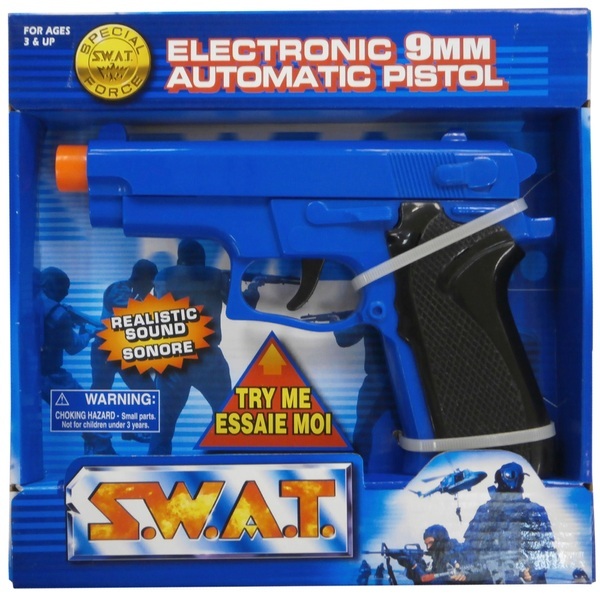 Electronic Automatic 9mm Toy Pistol to hear a realistic shooting sound. Your Electronic Automatic 9mm Toy Pistol has a recoil function when you pull the trigger.